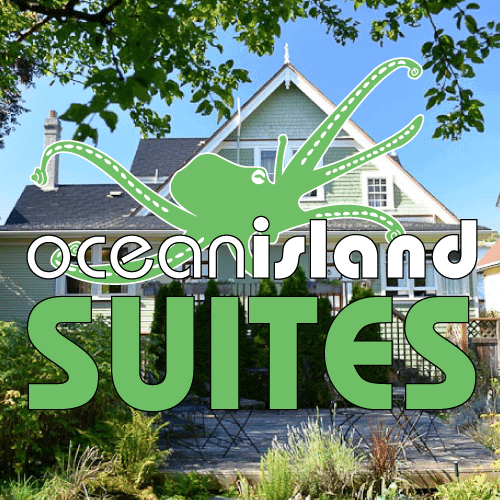 Ocean Island has 70 private rooms although in the summertime we change a few of these into dormitories. When we’re completely full, we can accommodate nearly 200 people. All of our rooms have rates for both single and double occupancy (excluding Group/Family Rooms, which have rates for 3, 4 or 5 people): check the price chart on each individual room page to see the exact prices. What forms of ID do I need to stay at Ocean Island? You need to show us a valid government-issued photo ID: passport, driver’s license, provincial or state identification, etc. How do I get to Ocean Island? 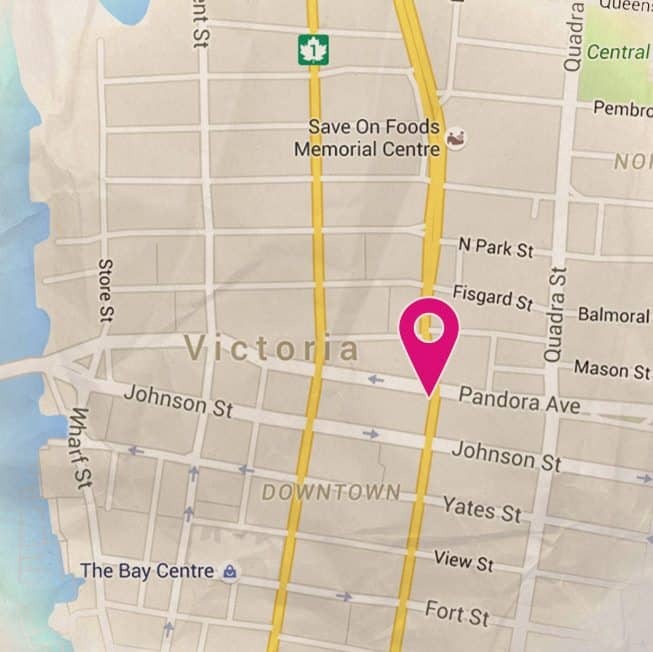 We’re in downtown Victoria, just one block away from City Hall, on the corner of Pandora Avenue and Blanshard Street. Visit our Directions & Contact page for more information. How close is Ocean Island to…? Save-On Foods Memorial Arena: about a 5 minute walk. BC Ferries / Victoria Airport: 30 minute drive, 1 hour by bus. Butchart Gardens: about a 45 minute public bus ride or 30 minute drive. Chinatown: about a 5 minute walk. Market Square: about a 5 minute walk. Royal BC Museum & IMAX: about a 15 minute walk. Victoria Bus Depot: about a 15 minute walk. Empress Hotel: about a 15 minute walk. Inner Harbour: about a 15 minute walk. Legislative Buildings: about a 20 minute walk. Can I work for my bed? We are able to offer discounted accommodation and food & drinks for those employed in one of our casual positions. This is a great opportunity for those looking to save some money while traveling. Find out more information on our casual employment page. Where can I find more information on work visas? Information of working permits/visas can be found on the Citizenship and Immigration Canada website: http://www.cic.gc.ca. If you are interested in a working holiday visa to Canada, there is a wealth of information on the Internet about the specific requirements for your country. Your first stop should be International Experience Canada, a government website with tons of information about obtaining a Working Holiday visa. And be sure to take a look at the SWAP program. Can I reserve without a credit card? To make a reservation online or on the phone, we require a credit card to hold your bed or room. When you arrive you can pay by any method you want: cash, credit card, bank card or traveler’s cheques. 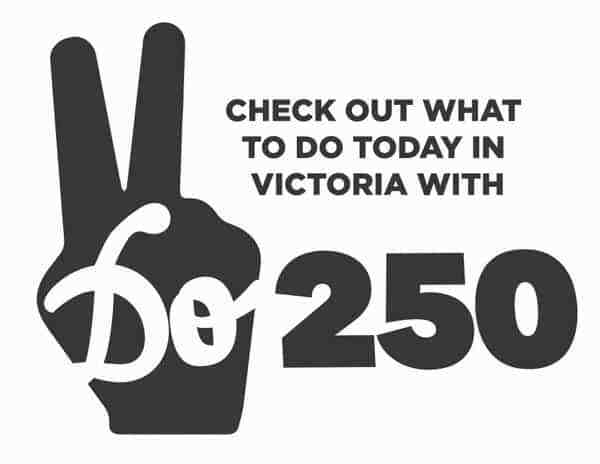 If you’re in Victoria, you can book your room in person and pay upfront. That way it is reserved for you and you do not need to use a credit card to hold it. Alternate arrangements may be possible. 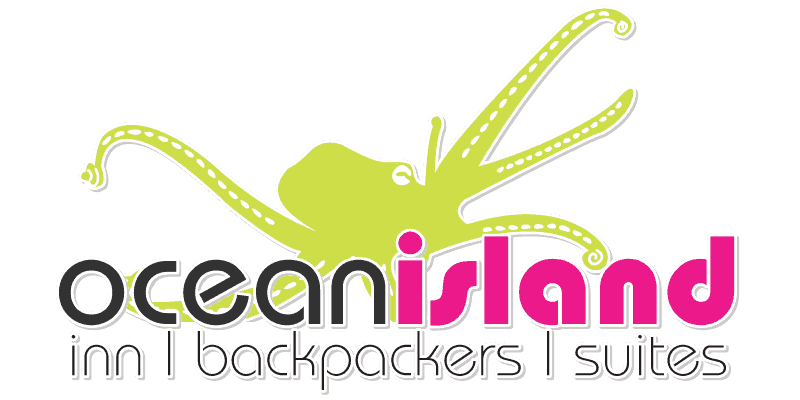 Contact our office for more details: info[at]oceanisland.com. Will you charge my credit card right away? No, we ask for your credit card information only to hold your bed or room. The only time we would charge it is if you are a no-show: in other words, if you book a room and don’t show up, and don’t cancel the reservation by 6pm the day before your arrival. If you do not arrive by the latest check-in time that you have given us, your reservation will be cancelled and your credit card will be charged for one night’s stay… but you can call us any time to change your latest check-in time if you think that you are going to arrive later. 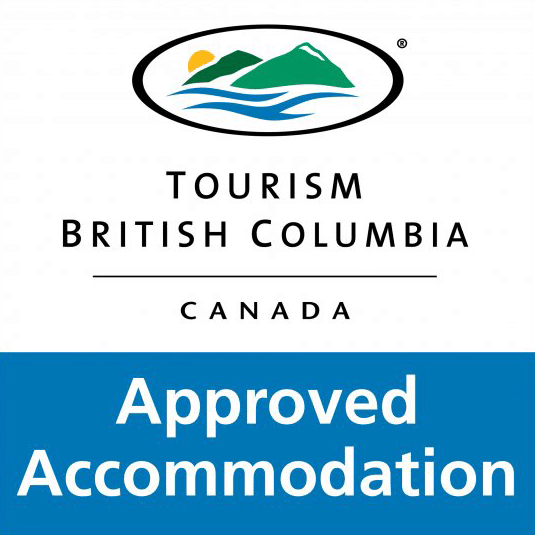 Click here to read our booking policies. Where can I get food / groceries / breakfast? We have an in-house licensed café lounge, open 5pm to 11pm, where you can get a tasty meal and a cold beer for a really good price. The Front Desk also has food for sale: things like muffins, fruit, sandwiches, wraps and cereal. If you’re the type who likes to cook their own meals, visit our Victoria Guide to see a list of the grocery stores closest to Ocean Island. Do you offer airport / ferry / bus pickup and drop off service? 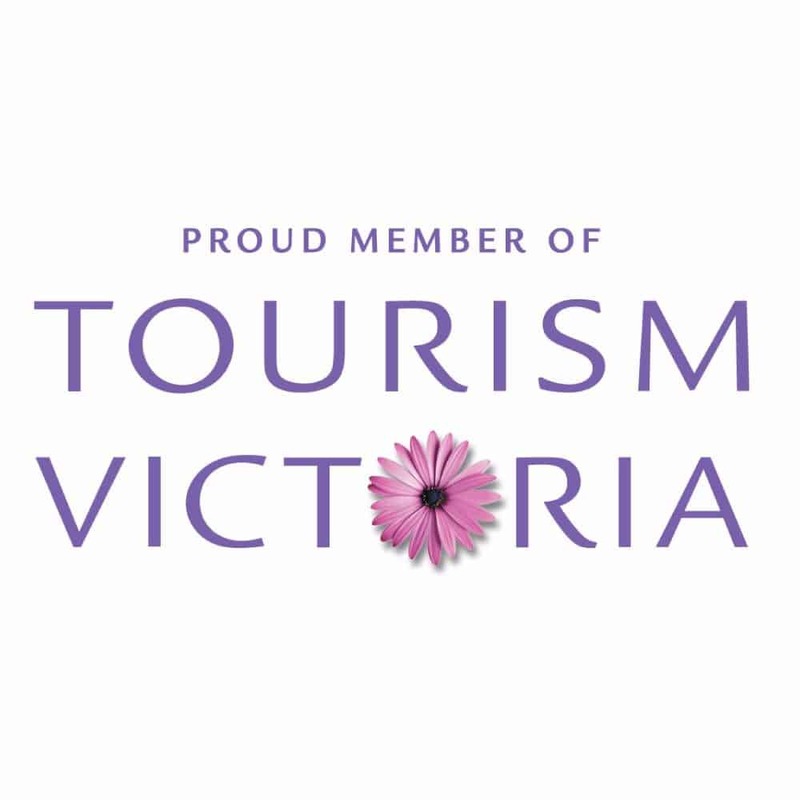 No, but Victoria Transit runs from the ferries to downtown, and the YYJ Airport Shuttleoperates a shuttle bus between the airport and downtown. See our Directions & Contact page for more transportation options.